It is suitable to determine mass loss of highway asphalt rolling thin film after heating, and the change of penetration, viscosity, ductility and breaking point of asphalt residue after the thin film has been heated, so as to estimate the aging performance of bitumen. designed and made as per industrial standard T 0610-2011 Standard Test Method for Effect of Heat and Air on a Moving Film of Asphalt in JTG E20-2011 Standard Test Methods of Bitumen and Bituminous Mixtures for Highway Engineering. 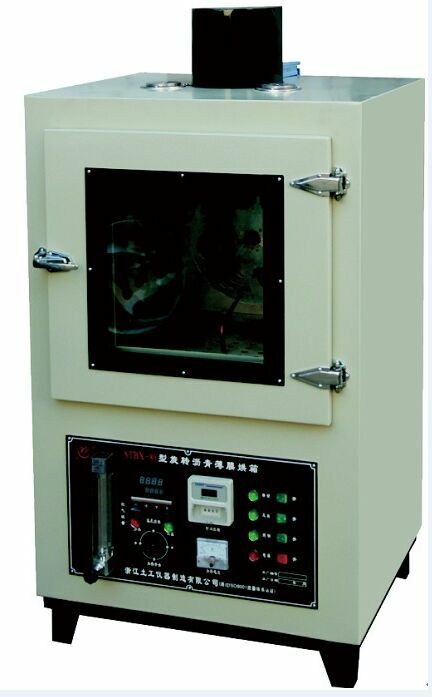 It is suitable to determine mass loss of highway asphalt rolling thin film after heating, and the change of penetration, viscosity, ductility and breaking point of asphalt residue after the thin film has been heated, so as to estimate the aging performance of bitumen.